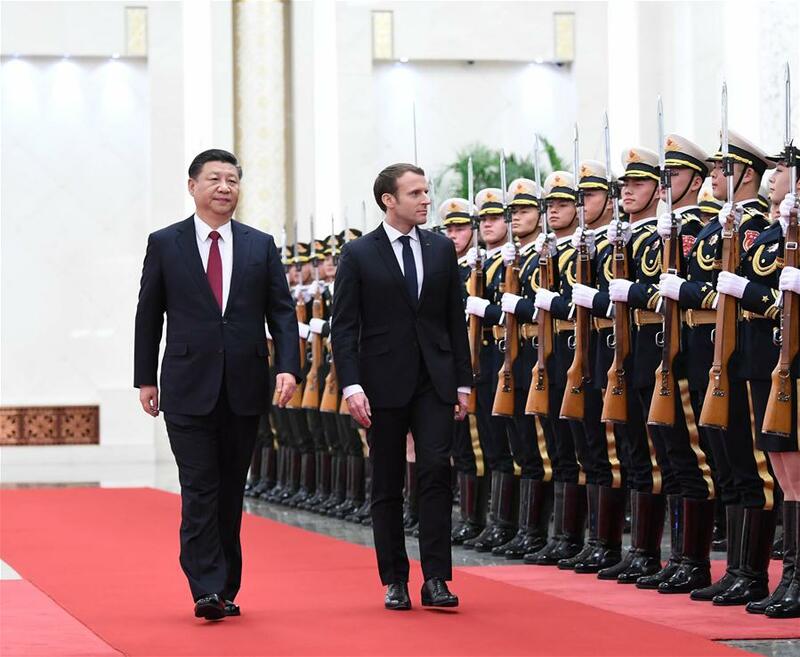 BEIJING, Jan. 9 (Xinhua) -- China and France Tuesday agreed to further advance their comprehensive strategic partnership. "China and France, as permanent members of the United Nations (UN) Security Council and influential major countries, should jointly shoulder their special responsibilities," Xi said. Chinese Premier Li Keqiang and top legislator Zhang Dejiang also met with Macron Tuesday afternoon.